Louis Vuitton recently celebrated their 160th anniversary and the launch of the “The Icon and the Iconoclasts” in New York. The..
Louis Vuitton, Where to Buy? 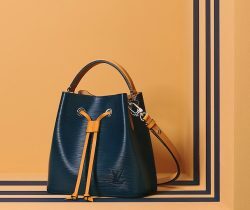 The Louis Vuitton All Vachetta Bag is a Special Order VVN (Vache Végétal Naturel) bag. You can order this bag from Louis..